We have 6 offices conveniently located in Jacksonville, St. Augustine, and Gainesville. Each office utilizes state of the art technology to conduct the eye exam. Click here for more information on the services we offer. We accept most medical insurance and vision plans. Please make sure you bring your insurance card and photo ID with you to your appointment. For a complete listing, please click here. We accept all major credit cards and cash. At the locations located next to a LensCrafters, we also accept the LensCrafters card. 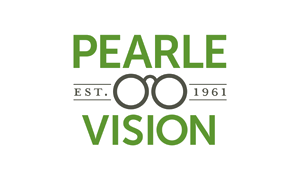 At the Pearle Vision locations, we accept the Pearle Preferred Card. For more information on these payment options, or to apply for one today, please contact the office closest to you. Dr. Mutai has moved to the Mandarin and Fleming Island locations. All patient records are available there. If you would like to be seen by him, please call one of these offices and request Dr. Mutai when scheduling your appointment.